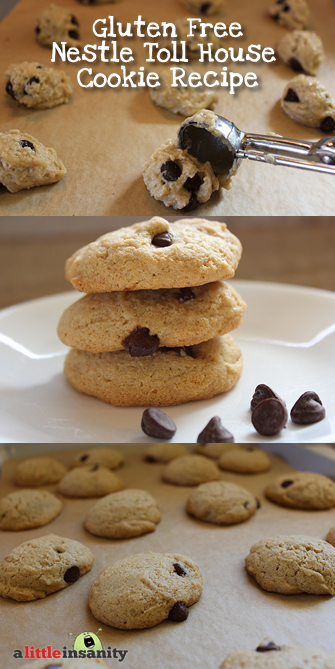 Gluten Free Toll House Cookie Recipe - Dairy Free, Soft, Moist, Delicious! 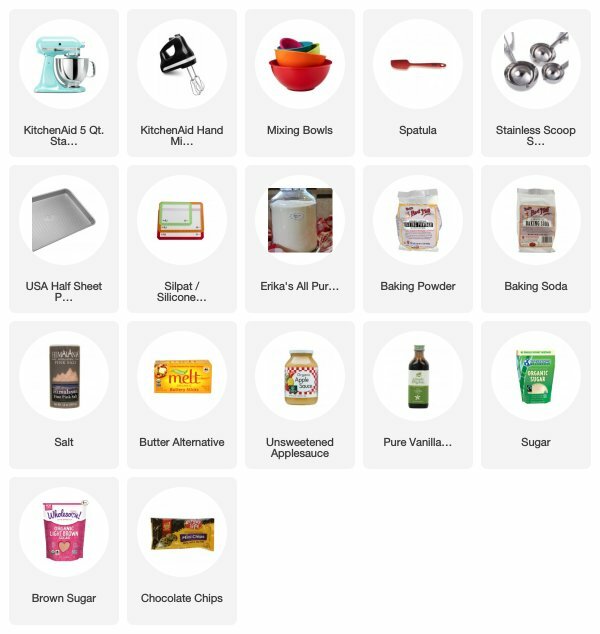 I’ve had a lot of requests for mainstream recipes that can be swapped 1 for 1 with my ‘Erika’s All Purpose Gluten Free Flour’ Mixture… with many of those requests being for a traditional Chocolate Chip Cookie recipe. I know these have ‘real’ sugar in them (*gasp! *), but if you want a taste like the original Nestle Recipe – which also maintains a soft & moist consistency, then this recipe will get the job done! If you’re not sensitive to dairy, feel free to use real butter – I’m sure the taste would only improve. I hope you enjoy them as much as my handsome little crew did. 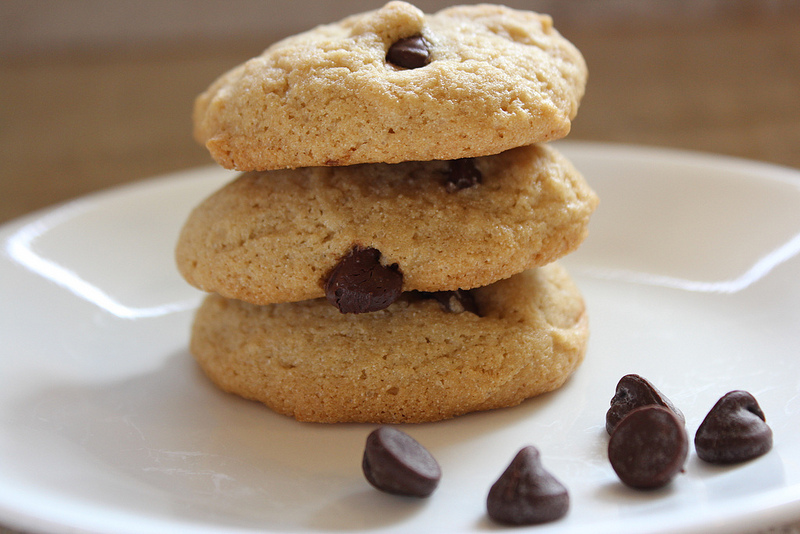 A Gluten Free & Vegan Toll House Chocolate Chip Cookie Recipe… No one will ever know! Whisk together Erika’s Gluten Free Flour Mix, Baking Soda, Baking Powder and Salt in small bowl. Beat Butter, Sugar, Brown Sugar and Vanilla in a stand mixer or in large bowl until creamy. 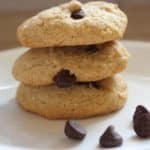 If you are making the Vegan version of these, I highly suggest you chill the cookie dough at this point for at least 30 minutes – the results are much better! Drop by rounded tablespoon onto ungreased baking sheets (I use parchment paper). Cool on baking sheets for 2 minutes, then remove to wire racks to cool completely. Can be stored in refrigerator for up to 1 week or in freezer for up to 8 weeks. 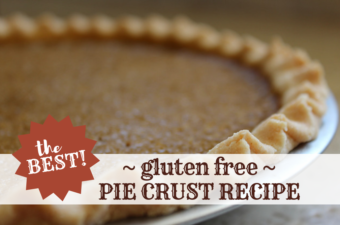 For a Grain Free Option, try substituting Almond Flour for the Flour in this Recipe. This recipe was a hit for my family! I’ve been baking the packaged gluten-free chocolate chip cookies and they are delicious but expensive. Your cookies are taste better and can be prepared for half the cost! My husband and sons can’t get enough of them! Thank you for sharing, Erika! Tried the gluten free bread twice now and couldn’t make it rise. 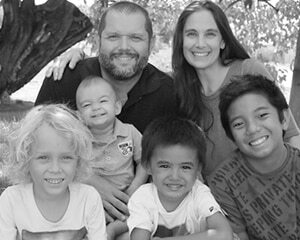 My son is allergic to soy, wheat, oats, egg, chicken, turkey, peanuts, tree nuts, most berries, beans, barley, sesame, garlic, onion, pineapple, cherry, kiwi… Given all the foods to avoid its hard to find recipes that work. 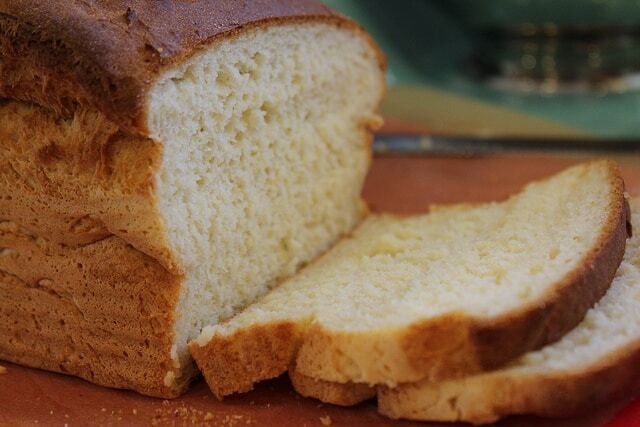 Do you think using ener-g egg replacer instead of eggs may have caused the bread not to rise? The final product still tasted good, very like regular bread, but the texture was super dense & chewy. I plan to try the flat bread & orange cranberry muffins – fingers crossed for a better result. I’m a gluten free vegan, and I never had any luck with ener-g egg replacer. However, I find that ‘flax eggs’ do a great job of binding and leavening, comparable to eggs. For each egg you sub in 1 tablespoon ground flax seed mixed with 3 tablespoons water. Let the flax eggs gel for at least 10 minutes, or even 20, before you add it to your recipe. Golden flax adds almost no colour change, whereas brown flax adds the appearance of whole grain. I buy brown cos I’m a cheapskate, but I’ve had excellent luck with it. Regardless of whichever colour you use, just be sure the flax is ground. If you can’t find ground flax, a coffee grinder or the flat blade of a Magic Bullet works well to grind it. did you try this recipe with the flax gel suggested below? Did it work? If not ,what did work for the eggs? Hi, we just discovered that earth balance contains corn (natural flavoring). My son can’t have corn or dairy and we are not sure about coconut yet. He hasn’t been challenged on that. What can we use instead and how much for the recipe? Canola oil? Shortening? I want to use something that will not negatively affect the texture of the cookie. Thank you so much for the cookie recipe! It is INCREDIBLE!!!! Soft, chewy, and just what a cookie should taste like. I would never be able to tell these are GF- just amazing! I tried making these cookies and they are delicious. Mine did not rise nice like yours though they went to rise in oven and then fell in the end. I followed directions exact is there something that could of caused this? I am in colorado so have a igh altitude not sure if that is why and if so how to fix it. These cookies are A-maz-ing. 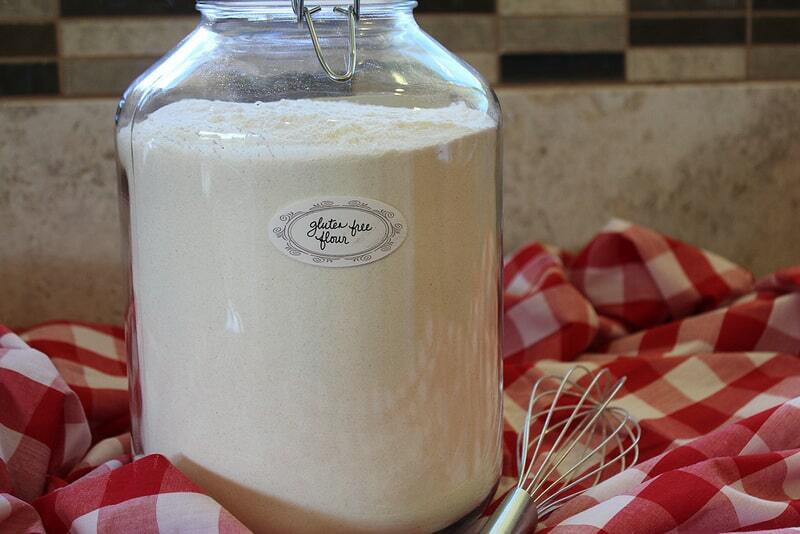 I LOVE your all purpose flour mix. I often switch it out for regular flour in regular recipes. It is so good that no one can tell which recipes are gluten free and which aren’t. THANK YOU!!! My family loves these cookies! When I make them as written they spread significantly and turn out very flat and pretty crispy. We like soft and chewy cookies in our house, so I use extra flour (your gluten free recipe), I’d say about 3 cups total. They come out soft and chewy and they stay that way for the few days it takes us to eat up a batch. They really are the best chocolate chip cookies I’ve ever made. I was sad for my son when I figured out he had a wheat and dairy sensitivity. Sad because I thought he would never be able to enjoy the simple things kids love, like chocolate chip cookies. We’ve tried out quite a few of your recipes and all have been a hit! Thank you! WOW! I made these over the weekend and they were amazing! My friend who don’t eat gluten-free were even impressed! Thanks!! Do you know how I could alter this to make them pumpkin chocolate chip cookies? Ha ha ha! These will NEVER last in the freezer for 8 weeks. The will find their way out and into your mouth at every opportunity! One of the best IMO, all-time GF sweet treat recipes. I live in Carson City, Nevada at an elevation level about 4600 feet. I too am interested in your response to Julie’s comment and how to fix the issue. The cookies came out VERY flat and VERY greasy. Although they tasted good. Can you give me any help as to why they were sooo greasy. Should I cut the baking sticks down?? Isn’t 1 cup = to 2 sticks?? Or is the Earth Balance more greasy than butter… I really want to make them again. Any help would be appreciated. Hi!! I’m currently baking these now for church in the morning. This is my first time ever baking homemade cookies from scratch. I used a bigger cookie scoop I had already. I want to say it’s 2 tablespoons but not sure. These are SOOOOOOO good!!! But….they didn’t flatten. They started to spread out a little but they are not flatter like a typical cookies or like the ones in your pic. Do you think this is because I used a bigger scoop? I will try doing it with the smaller tablespoon like you stated in your recipe next time. I actually like them like this. They are soft and chewy and a little fatter :). I did not put baking powder in them. In your directions, it only said to add baking soda. It didn’t say anything about baking powder. I was confused cuz it was in the ingredient list but not in the directions. Do you think they didn’t flatten more cuz I didn’t put baking powder in? I made my first batch of these cookies tonight, and I am very pleased. I noted when I first found the recipe how close it is to the original, and as I am trying to rework some bread recipes to actually come out like BREAD, I was interested in how few changes it took to create something that can nearly pass for the wheat flour version. I too use Pure Cane Crystals (Florida Crystals) in lieu of refined sugar, and have been for years. I know from experience that the difference in the size of the crystals can cause some textural difficulties, but made the recipe exactly as written. Next time, I’ll do what I’ve been doing for a number of years: pulse the crystals in my spice/coffee grinder a few times to break them down to refined sugar size before adding them to the bowl. I’ve even ground them down enough to replace Superfine sugar when needed, and it makes a world of difference! I’ve been on the Primal Diet for three years, so these cookies are still a “cheat” for me, but worth it. My sweetheart is a Type 2 Diabetic, but thanks to a major weight loss a few years ago, coupled with eating a LOT of meals at my place, he is currently on Dietary Control only. My biggest problem with him is his love for bread, white potatoes, and desserts. Those three things are the reason I haven’t gotten him completely onto the Primal Diet already. Thank You so much for this! We’re both just on the wrong side of “middle age,” and I want to keep him around for a long, long time! Erika, thanks so much for these gluten free gems! My husband LOVES them! He’s not too happy about going gluten free, but it’s what’s best for us. He hates store bought, but adores everything I have made with your gluten free flour recipe. I can barely keep it in the house! Thanks! You are wonderful, a genius! These are so good, and so is the bread recipe and the pizza dough! We love you. 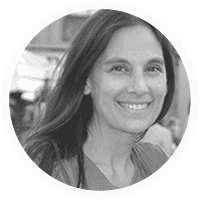 I have been trying to bake gluten free (and all the other allergies my daughter has – 22!) for 3 years with no luck, and then you come along and change everything. Thank you so much! I used Smart Balance light in place of butter and they still came out yummy!